This multi-function CPF1903 device features Wi-Fi connectivity and free cloud storage. Wireless link to internet automatically. Motion sensor remote controller eases your internet surfing. Built-in 2MP front camera provides a lot of convenience to users. Preloaded app allows Video Talk between family members, friends. 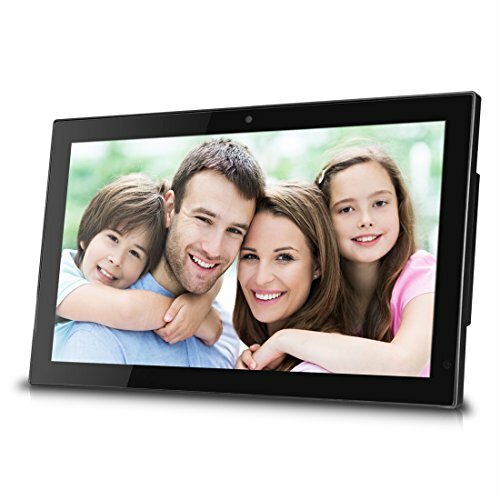 Receives and displays real-time photos sent to it from anywhere in the world. The Cloud Frame allows users access their favorite social media sites such as Facebook, Twitter and Google+. From backup lists, you can find and install most popular photo hubs and video hubs such as Flickr, Picasa, Instagram, Netflix, Huluplus. You can select and watch endless movies at Netflix and other video-hubs. More features: 1366x768 High-resolution 19" LED display, 8GB internal flash memory and 10GB free cloud storage, SD/SDHC card slot, USB OTG, Dual interface optional, tabletop stand and wall mountable.